General Information about English Language. What is LANGUAGE? 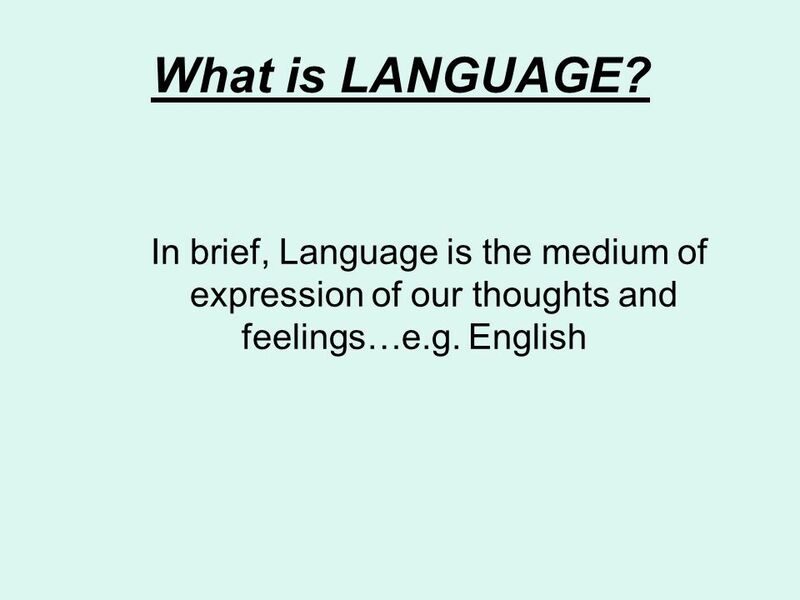 In brief, Language is the medium of expression of our thoughts and feelings…e.g. English. 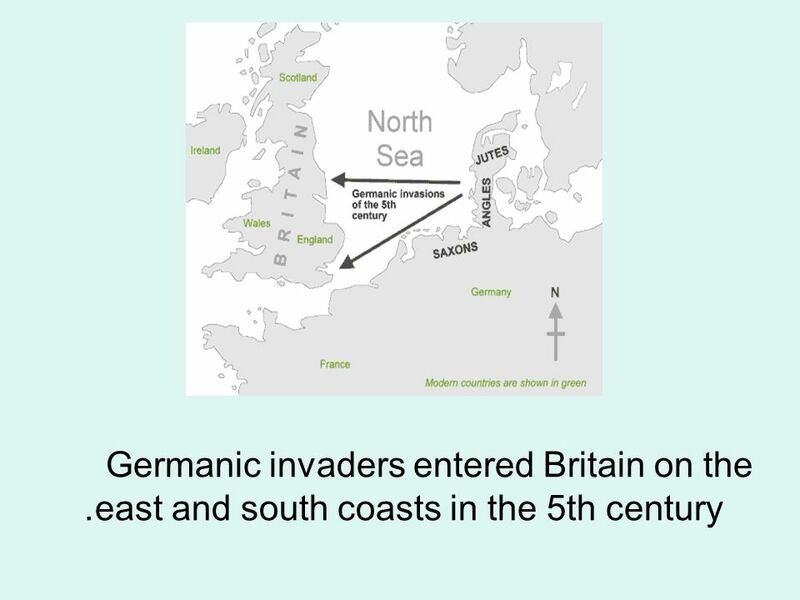 3 Germanic invaders entered Britain on the east and south coasts in the 5th century. 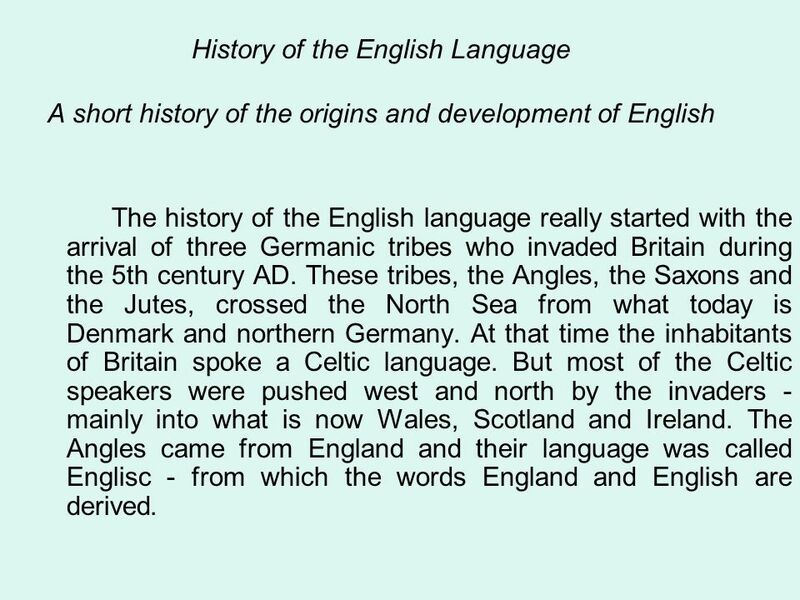 4 History of the English Language A short history of the origins and development of English The history of the English language really started with the arrival of three Germanic tribes who invaded Britain during the 5th century AD. These tribes, the Angles, the Saxons and the Jutes, crossed the North Sea from what today is Denmark and northern Germany. At that time the inhabitants of Britain spoke a Celtic language. But most of the Celtic speakers were pushed west and north by the invaders - mainly into what is now Wales, Scotland and Ireland. The Angles came from England and their language was called Englisc - from which the words England and English are derived. 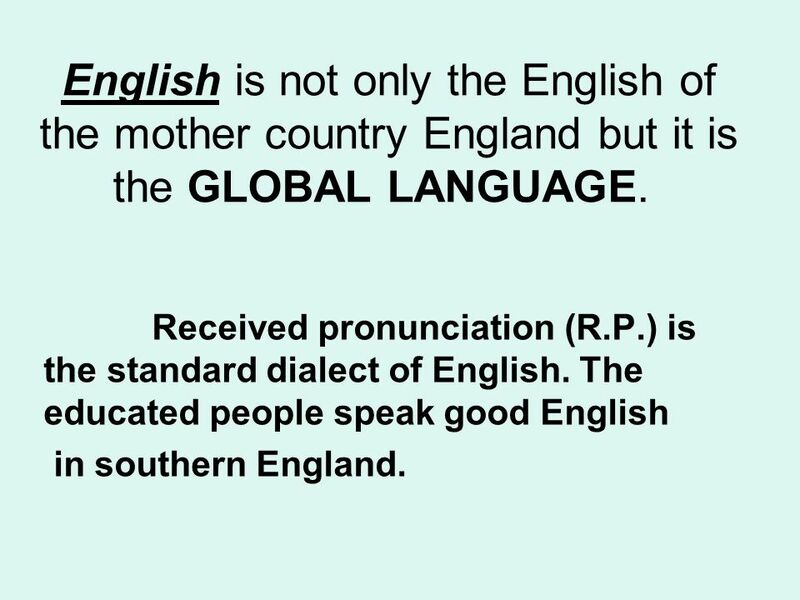 5 English is not only the English of the mother country England but it is the GLOBAL LANGUAGE. Received pronunciation (R.P.) is the standard dialect of English. The educated people speak good English in southern England. 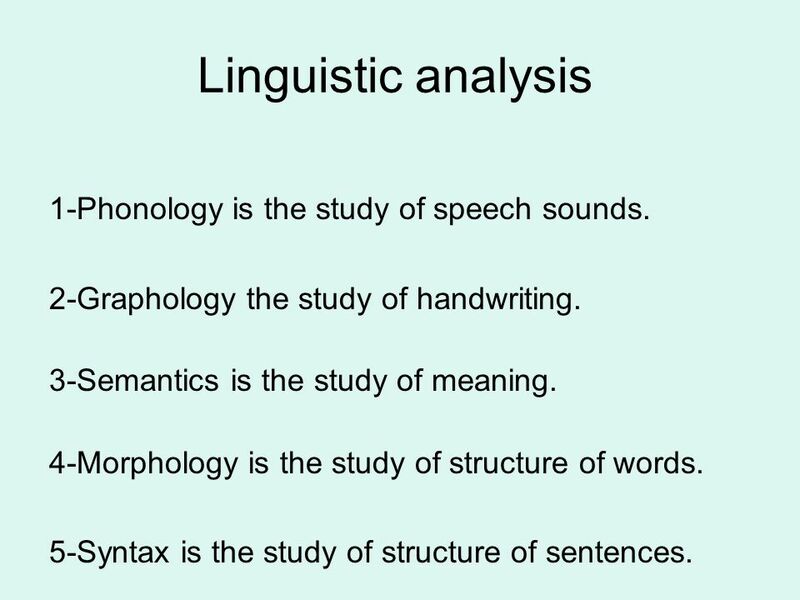 6 Linguistic analysis 1-Phonology is the study of speech sounds. 2-Graphology the study of handwriting. 3-Semantics is the study of meaning. 4-Morphology is the study of structure of words. 5-Syntax is the study of structure of sentences. 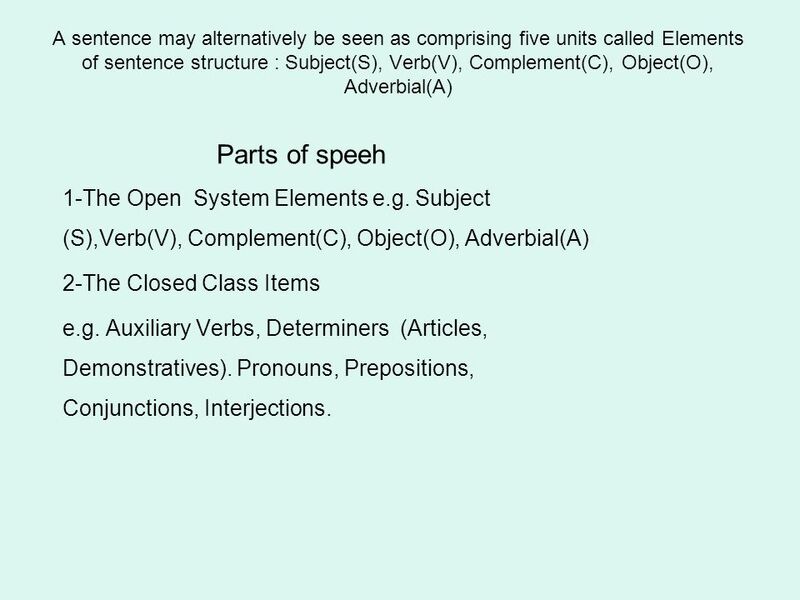 7 A sentence may alternatively be seen as comprising five units called Elements of sentence structure : Subject(S), Verb(V), Complement(C), Object(O), Adverbial(A) Parts of speeh 1-The Open System Elements e.g. Subject (S),Verb(V), Complement(C), Object(O), Adverbial(A) 2-The Closed Class Items e.g. Auxiliary Verbs, Determiners (Articles, Demonstratives). Pronouns, Prepositions, Conjunctions, Interjections. 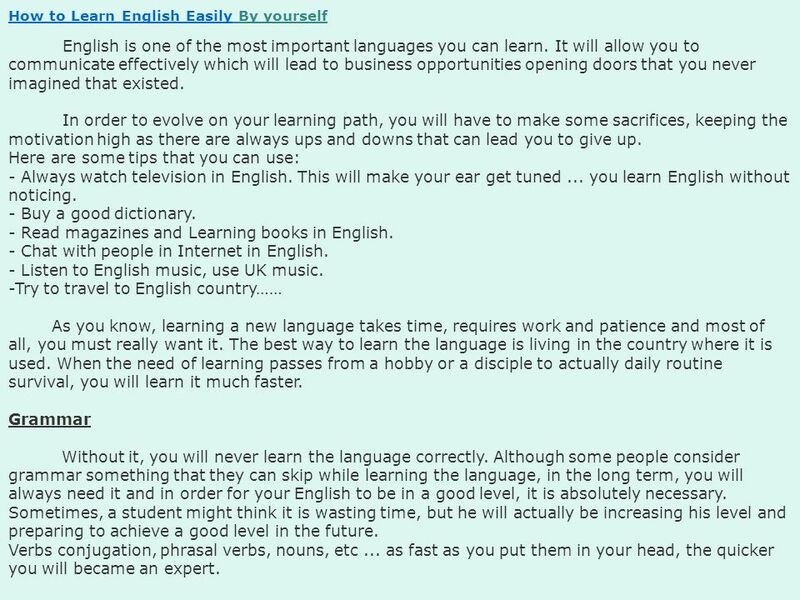 8 How to Learn English EasilyHow to Learn English Easily By yourself English is one of the most important languages you can learn. It will allow you to communicate effectively which will lead to business opportunities opening doors that you never imagined that existed. In order to evolve on your learning path, you will have to make some sacrifices, keeping the motivation high as there are always ups and downs that can lead you to give up. Here are some tips that you can use: - Always watch television in English. This will make your ear get tuned... you learn English without noticing. - Buy a good dictionary. - Read magazines and Learning books in English. - Chat with people in Internet in English. - Listen to English music, use UK music. -Try to travel to English country…… As you know, learning a new language takes time, requires work and patience and most of all, you must really want it. The best way to learn the language is living in the country where it is used. When the need of learning passes from a hobby or a disciple to actually daily routine survival, you will learn it much faster. Grammar Without it, you will never learn the language correctly. Although some people consider grammar something that they can skip while learning the language, in the long term, you will always need it and in order for your English to be in a good level, it is absolutely necessary. Sometimes, a student might think it is wasting time, but he will actually be increasing his level and preparing to achieve a good level in the future. Verbs conjugation, phrasal verbs, nouns, etc... as fast as you put them in your head, the quicker you will became an expert. 9 Pronunciation and Accent You will find several different ways considered correct to pronounce a certain word. This is because English is spoken in so many countries that each will have it's own pronunciation and accent. Normally, the American accent is easier to understand and speak because you will be more used to hearing it in Hollywood movies and series in TV. 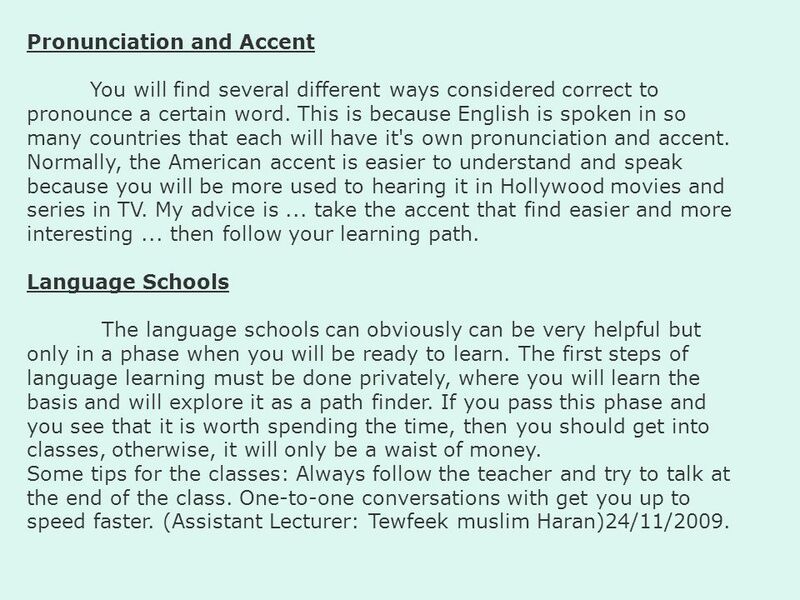 My advice is... take the accent that find easier and more interesting... then follow your learning path. Language Schools The language schools can obviously can be very helpful but only in a phase when you will be ready to learn. The first steps of language learning must be done privately, where you will learn the basis and will explore it as a path finder. If you pass this phase and you see that it is worth spending the time, then you should get into classes, otherwise, it will only be a waist of money. Some tips for the classes: Always follow the teacher and try to talk at the end of the class. One-to-one conversations with get you up to speed faster. (Assistant Lecturer: Tewfeek muslim Haran)24/11/2009. 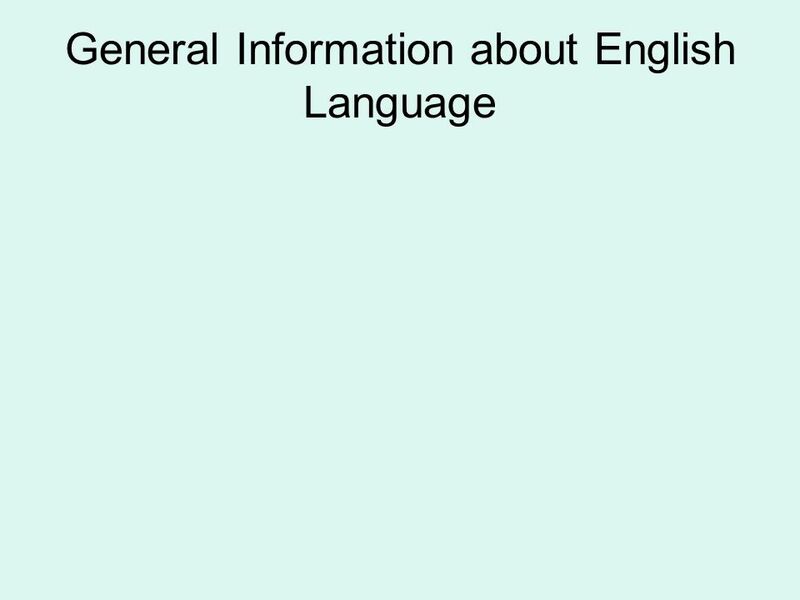 Download ppt "General Information about English Language. What is LANGUAGE? In brief, Language is the medium of expression of our thoughts and feelings…e.g. English." Ch. 5 Language Key Issue 1: Where are English-Language Speakers Distributed? Origin and diffusion of English Dialects of English. Why?  Why is English a Germanic language?  Why is it the prominent language?  What is the cause of multiple English accents? May 7, 2015S. Mathews1 Human Geography By James Rubenstein Chapter 5 Key Issue 1 Where Are English-Language Speakers Distributed? The influence of the invasion by the Germanic tribes on the English language. Anglo-Saxon dialects. Unit 2 Listening Listen carefully to the tape. Mr. Brown’s landlady has many house rules. Write down five of them. Example: The landlday asked Mr Brown. Syntax (1) Dr. Ansa Hameed. 10 tips to improve the way you speak English. Can I 'neutralise' my accent? Yes, you can. All you need to do is train yourself to speak English as comfortably. 5 EVENTS THAT SHAPED THE HISTORY OF ENGLISH According to Philip Durkin, Principal Etymologist at the Oxford English Dictionary. How to Improve Your Spoken English? Presented by Miss Indu Goswami Principal, KV Sector 25, Rohini, Delhi.